-- A woman wakes in a hospital bed with no idea of who she is. Her memory is gone, her baby missing. All she has is the gripping certainty that she is in mortal danger. Then a handsome, angry stranger barges in and makes a terrible accusation. He was her lover -- and her child's father -- until she disappeared seven months ago. Jake Sanders swore he'd never forgive Sarah Tucker, but he isn't about to let her get away again -- especially not with his daughter still missing. If he has any chance of recovering his baby, he must help the woman who betrayed him retrieve the pieces of her shattered memory -- without letting his feelings get in the way. Haunted by troubling flashes of memory, Sarah begins to realize she's lived a life of lies. But what is the truth? And where is her baby? 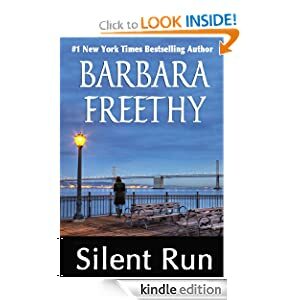 Silent Run is Book #1 in the Sanders Brothers Series. Book #2 is Silent Fall. Silent Run or to sample this book for FREE! Born the runt of his litter and gambled away to a rusty old riverman, the Newfoundland pup Seaman doesn’t imagine his life will be marked by any kind of glory -- beyond chasing down rats. But when he meets Captain Meriwether Lewis, Seaman finds himself on a path that will make history. Lewis is just setting off on his landmark search for the Northwest Passage, and he takes Seaman along. Sharing the curiosity and strength of spirit of his new master, Seaman proves himself a valuable companion at every turn. Part history, part science -- and adventure through and through -- The Captain’s Dog is the carefully researched, thrilling tale of America’s greatest journey of discovery, as seen through the keen, compassionate eyes of a remarkable dog. 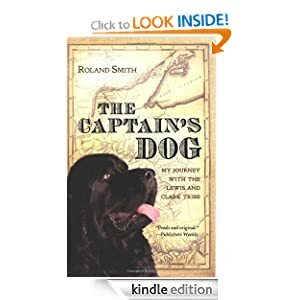 The Captain's Dog or to sample this book for FREE! -- Kayla Sheridan had longed for love, marriage and a family. Now, after a miraculous whirlwind courtship with the man of her dreams, she is his wife. But on their wedding night, he vanishes, leaving Kayla with the bitter realization that her desire has made her an easy mark for deception. Nick Granville has an ingrained sense of honor and an intense desire to succeed in building the world's most challenging high-tech bridges. But when he crosses paths with a ruthless con man, he's robbed of everything he values, including his identity. With nothing left to lose, he'll risk any danger to clear his name and reclaim his life. Thrown together by fate, Kayla and Nick embark on a desperate journey toward the truth -- to uncover the mysterious motives of an ingenious and seductive stranger who boasts he can't be caught ... and to reveal the shocking secrets of their own shattered pasts. 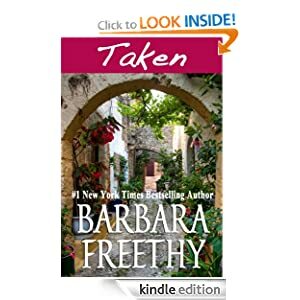 TAKEN is Book #1 in the Deception Series. Book #2 is PLAYED. Taken or to sample this book for FREE! In spare free verse laced with unforgettable images, Viola's strikingly original voice sings out the story of her family's journey from war-torn Sudan, to Cairo, and finally to Portland, Maine. Here, in the sometimes too close embrace of the local Southern Sudanese Community, she dreams of South Sudan while she tries to navigate the strange world of America - a world where a girl can wear a short skirt, get a tattoo or even date a boy; a world that puts her into sharp conflict with her traditional mother who, like Viola, is struggling to braid together the strands of a displaced life. Terry Farish's haunting novel is not only a riveting story of escape and survival, but the universal tale of a young immigrant's struggle to build a life on the cusp of two cultures. 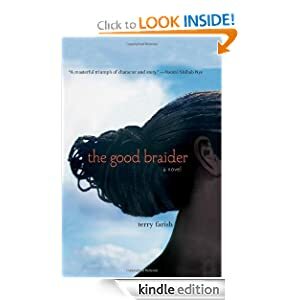 The Good Braider or to sample this book for FREE!